As a community of designers, it’s critical that you respect the intellectual property rights of others. Your profile cannot contain material that violates any third party rights. You must not post any content created by another party to the Community unless you know that you have a legal right or license to do so. Do not set up more than one Community account. Do not misrepresent yourself as an employee of InVision and its affiliated companies, or anyone else. Do not share personal information about yourself or anyone else, including their contact information, social media accounts, and other identifying information. Having discussions about services, service providers and products that you’ve used is encouraged; selling your services to others is not. Do not post contact information for your business. 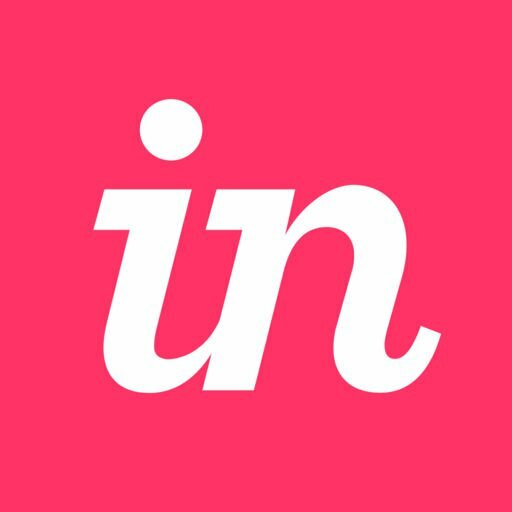 InVision does not review every post, photo or comment. If you see something that you feel violates our guidelines, please email [email protected]. If the content is a potential copyright violation, please follow these steps in our DMCA reporting process. Our goal is to create a community for designers to be able to help each other become better designers and use InVision more effectively. To help ensure that everyone is able to enjoy the Community, we may need to step in to help ensure that it’s a positive experience. We may also add or remove topics and move or remove corresponding posts and comments as we believe necessary. If we believe a discussion is no longer relevant or has become outdated we reserve the right to remove or close that discussion to prevent further comments. We also reserve the right to suspend users’ access to the Community, or to deny access to any potential user, at any time at our discretion. Our goal is to help facilitate conversations between designers within the Community. At times, we may post responses directly but there may be a delay before we reply and there may be some questions we cannot answer. In some cases, we may proactively create a support ticket on your behalf if we believe your question would be better answered by our Support team. We will review and address any complaints of copyright infringement in the Community that are reported using our DMCA complaint process. All content that you post, whether publicly posted or privately transmitted, is the sole responsibility of the user who posted or transmitted such content. This means that you are entirely responsible for any and all content that you upload, post, share, or otherwise display on the Community. InVision specifically makes no warranty regarding any such user content and disclaims any and all liability arising from any user content. InVision may designate one or more subject matter “experts” or “ambassadors” to blog or contribute to the Community. The opinions and advice of such “experts” or “ambassadors” may not reflect the opinion or viewpoint of InVision, and InVision undertakes no obligation to verify such content and disclaims all liability arising out of such content or advice. We provide this Community as a benefit to our users, but are not responsible for the content provided in the Community, or for ensuring that our products and services function in conformance with the information provided in this Community. The information herein is expressly excluded from any reference to product or service “documentation” that we may otherwise make in any other agreement or policy. When you leave the Community, the posts, comments and other content that you have contributed to the Community may remain on the Community site for as long as we deem appropriate. For example, certain posts may link to, and be linked to by, other posts, and we may decide to retain those threads for as long as we deem appropriate. If you have a concern about removing any particular piece of content, please contact us at [email protected]. You are responsible for ensuring that you do not do anything or load onto the Community any content that is technically harmful to or may circumvent, interfere with or jeopardize the security of the Community. You grant to InVision and its affiliates a perpetual, worldwide, irrevocable, unrestricted, non-exclusive, royalty-free and fully paid-up license to use, copy, license, sublicense (through multiple tiers), adapt, distribute, display, publicly perform, reproduce, transmit, modify, edit, make derivative works of, and otherwise exploit the copy, content, intellectual property rights, the photographs and the likenesses (if any) of any user content you post on the Community, together with all rights therein. You agree that InVision may review and use all user content for any reason and further give InVision the right to link to or frame your user content and place any content, including ads, around or near your user content. This license shall survive any termination of your account or this agreement. Some users may post website links in the Community. InVision is not responsible for the content on the websites with these links. In addition, InVision reminds you that some content and links on the Internet contain inappropriate material, such as malware or adult content that may be offensive to some users. You are responsible for any actions you may take based on information or advice you receive while online. Use your own good judgment when evaluating information provided through the Community or any other communication service. The decision to share information or conduct transactions with anyone is your own. Conduct your own research before making any decisions. ALL USERS AGREE THAT NEITHER INVISION OR ANY OF ITS AFFILIATES ENDORSE, ARE AFFILIATED WITH OR OTHERWISE BEAR ANY RESPONSIBILITY FOR ANY USER CONTENT ON ANY PART OF THE COMMUNITY. INVISION SHALL HAVE NO RESPONSIBILITY OF LIABILITY WITH RESPECT TO ANY DISPUTES OR OTHER COMMUNICATIONS BETWEEN USERS. IN NO EVENT SHALL INVISION, NOR OUR DIRECTORS, EMPLOYEES, AGENTS, PARTNERS, SUPPLIERS OR CONTENT PROVIDERS, BE LIABLE UNDER CONTRACT, TORT, STRICT LIABILITY, NEGLIGENCE OR ANY OTHER LEGAL OR EQUITABLE THEORY WITH RESPECT TO THESE GUIDELINES OR THE COMMUNITY (A) FOR ANY LOST PROFITS, DATA LOSS, COST OF PROCUREMENT OF SUBSTITUTE GOODS OR SERVICES, OR SPECIAL, INDIRECT, INCIDENTAL, PUNITIVE, COMPENSATORY OR CONSEQUENTIAL DAMAGES OF ANY KIND WHATSOEVER (HOWEVER ARISING); (B) FOR ANY BUGS, VIRUSES, TROJAN HORSES, OR THE LIKE (REGARDLESS OF THE SOURCE OF ORIGINATION); OR (C) FOR ANY DIRECT DAMAGES IN EXCESS OF $100.00. THIS LIMITATION APPLIES EVEN IF WE OR OUR AGENTS OR REPRESENTATIVES KNOW OR HAVE BEEN ADVISED OF THE POSSIBILITY OF SUCH DAMAGES. CERTAIN JURISDICTIONS MAY NOT ALLOW THE EXCLUSION OR LIMITATION OF CERTAIN DAMAGES. IF THESE LAWS APPLY TO YOU, SOME OR ALL OF THE ABOVE DISCLAIMERS, EXCLUSIONS OR LIMITATIONS MAY NOT APPLY TO YOU, AND YOU MAY HAVE ADDITIONAL RIGHTS.